We weren’t even supposed to go to Buffalo this year. We had our eyes set on Philadelphia as the Habs were visiting in October, on a rare Saturday night away game. It also happened to be a 3 day weekend, which would give us time to visit the city without taking days off from work. 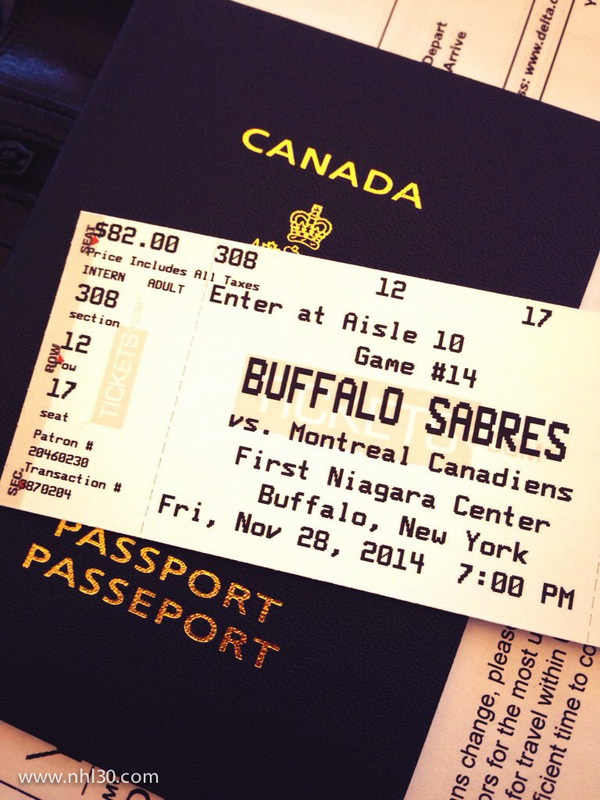 But as I was exploring the options, and researching the various cities we still have to visit, I happened upon a killer deal on plane tickets for the November 28th game in Buffalo, so we switched gears and planned for this trip. Buffalo would be the 6th stop in our trek around the NHL. But that plan started to look like a nightmare when the week before, Buffalo was hit by record breaking snow falls that reached 7 feet in some areas! For a few days, the area looked unreachable, and two Sabres games were postponed. And then temperatures went up above freezing, and the issue became flood warnings as the massive snowfall started to melt. It was starting to look like I’d have to waste the prepaid plane tickets and the game tickets. But flooding never came to pass, and as more details emerged, it became obvious that downtown Buffalo had not been hit, a fact that was confirmed by emailing the Buffalo tourist center. And the weather forecast looked great, so it looked like we’d be set!